The use of offsets commits to destroying at worst half of the remaining land and related ecosystems left in Australia; the misconception that a portion of land in one region can be cleared if you purchase a similar portion of land in a completely different region. Clearing of the Banksia Woodland in Wellard and Oldbury is proposed with no consideration to the environmental and social values to surrounding residents and City of Kwinana (both oppose). Biodiversity offset trades, or environmental offsetting, under the EPBC Act are to “deliver an overall conservation outcome that improves or maintains the viability of the protected matter as compared to what is likely to have occurred under the status quo, that is if neither the action nor the offset had taken place.’’ and should only occur once avoidance and mitigation measures are taken . What is extraordinary about the extensive use-of and reliance on offsets by developers and governments is that there is simply no evidence they are working. Over a decade of offsets federally and it is impossible to say whether offsets are working as a whole or individually. There has been no review of offsets implemented, no audit of the extent to which offsets are seeing a net gain – or at least no net loss of biodiversity and habitat . Only payments to DBCA have been made, no offset land has actually been purchased, nor is it guaranteed offset land will actually be purchased. A Conservation of Threatened Species follow up audit by the WA Auditor General in 2017 stated the DBCA had failed 23 times since 2012 to purchase reserve land due to lack of support from other agencies and ministers, and that the DBCA managed 29 million hectares of land and water in June 2016, an increase of only 2 million hectares from 2007-08 (period of at least 8 years) . The audit also noted both expenditure and staffing are below 2009 levels while the conservation task has grown as more species and communities are listed as threatened, therefore it is without due care to approve and/or support clearing of the Endangered Banksia Woodland on such a basis. We’re astounded how offsets can be considered that have a net result of destruction to the ecology in Kwinana, there has been no consideration to the environmental and social values of the Banksia Woodlands to the surrounding residents and City of Kwinana – who would like to retain as a Conservation Reserve. 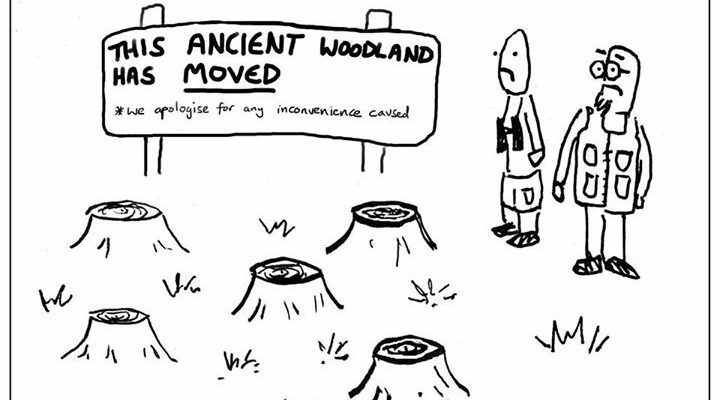 The destruction of high quality Banksia Woodland is unrecoverable in the short-to-medium term – our lifetime. 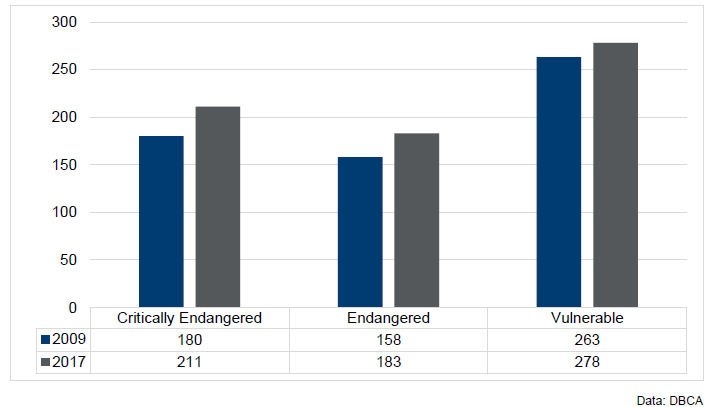 The decline of endangered species is based on the current lack of habitat, in turn reinforcing the need to retain habitat for threatened species now. The clearing of additional quality habitat is not consistent with the key objectives within the Recovery Plans, and also not consistent with the predicted short timeframes to extinction for many endangered and declining species. Trends and indicators from State of the Environment reporting is that offsets simply aren’t working. Declines are evident in almost every indicator of environmental health. There has been a 12% rise in the number of threatened species to 672 since 2009. The number potentially under threat has jumped 29% to 3352. The intent of the EPBC Act and subsequent Recovery Plans will be blatantly disregarded, in fact directly contravened. Vital ecological corridors will be severed in the Wellard locality. It will pave the way for broad scale clearing of natural vegetation of unique Banksia Woodlands. It will pave the way for harmful mining operations in close proximity to suburbia through continual reduction of risk-mitigating buffers. State and Federal Government will face continued backlash from rural and nearby estate residents who must suffer with the mine for as long as it operates. Biodiversity can never be offset, because no two places will ever have identical biodiversity. This is appalling! Our government is failing the people and our land! We have refined glass bottles going into landfill or out of WA to be recycled but we are still trashing our remnant bushland and pushing species to the brink for silica mining? Let’s join the dots and save what’s left of our natural inheritance!